Hi guys! It’s high time to share what we?ve been up to here at Small is Beautiful these past few months. The Thanksgiving mindset of gratitude hasn?t melted away with the snow, and I?m excited to tell you about some of the things we?re grateful for. 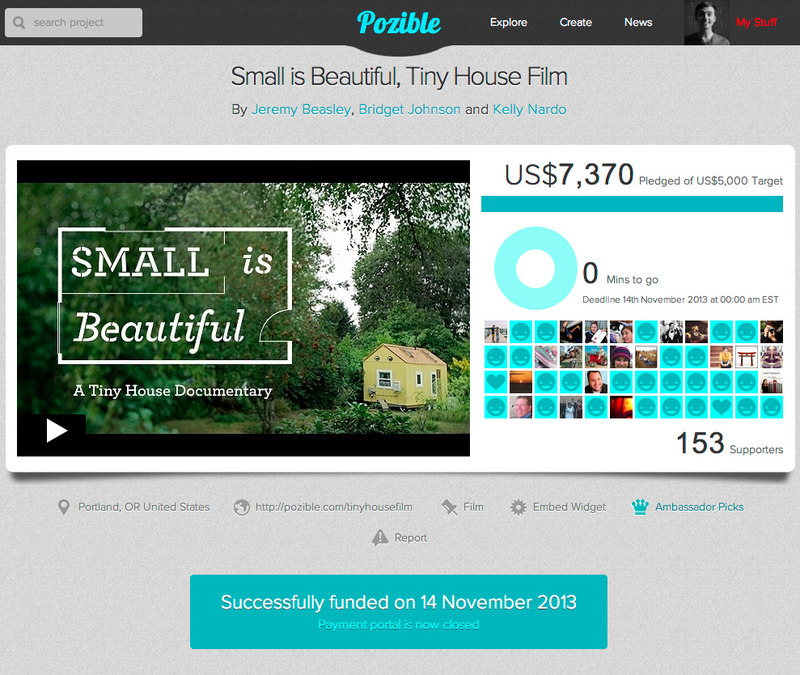 After wrapping up phase one of filming in late September, we felt so passionate about pursuing the Small is Beautiful project that we spent the next several weeks preparing to launch a crowdfunding campaign on Pozible to fund another round of filming. We could have researched and prepared for twice as long, and still not felt one hundred percent ready to launch. Luckily though, Jeremy?s faith in the project and ?there?s no time like the present? mindset meant the launch happened at the perfect time. The campaign ran from mid-October to mid-November, and thanks to the support of 153 friends, strangers, and enthusiasts of many kinds, we met (and actually surpassed) our goal! It was more challenging than we had anticipated- as are many of the most meaningful endeavors in life, right?- but also a lot of fun. Jeremy was constantly making improvements to the webpage, reaching out to friends in the field to create awesome rewards packages, and developing engaging infographics that really caught readers? eyes. Lots of friends helped to spread the word, allowing us to gain supporters from outside our circles of contacts and outside the U.S. and Australia. The encouragement we?ve received has been a symbolic green light for the film. LOTS of people are genuinely eager to learn about tiny house living as a path towards simplifying their lives and focusing more on what really matters. People and relationships are everything. We already knew this, but reminders are helpful. The interdependence we foster with each other is priceless. People want to spend their time and energy in meaningful ways, and want to support other people in doing the same. And we think that is pretty damn cool. Six steps to getting your movie classified in Australia.